I've been saying for quite some time that I *will* make the food on my Pinterest boards. I will. I will. I will! Well.... I finally did! AND.. I broke it out for Thanksgiving weekend.I thought I would cook enough and be done with it. Not the case! The next day we opted out of shopping and decided to stay home and cook more! No Black Friday?!?! I never thought I would see the day! Pinterest has taken over!!!! ﻿﻿﻿Of course on Thanksgiving Day we have the traditional Turkey, ham, all of the fixins and more desserts than we could ever need. For Breakfast, we had a big ol southern breakfast... Quiche, sausage, apple turnovers and a Pillsbury Cream Cheese Crescent Roll Danish straight from Pinterest! 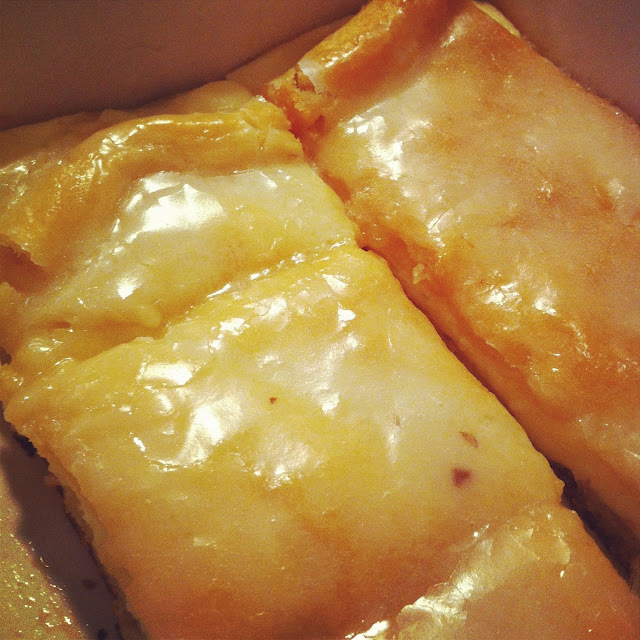 Crescent Roll Cream Cheese Danish. Want the Recipe? 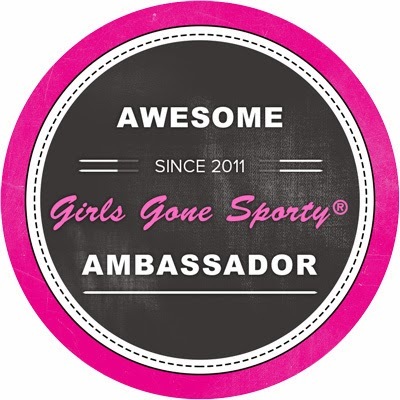 Check it out on my Pinterest board! Big 'ol Southern Style Breakfast! 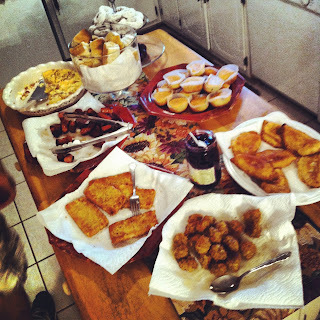 Blueberry Muffins, Sausage Balls, Hasbrowns, Bacon, Cheese and Onion Quiche, Homemade Apple Turnovers, Pigs in a Blanket, Donuts and Crescent Roll Cream Cheese Danish. 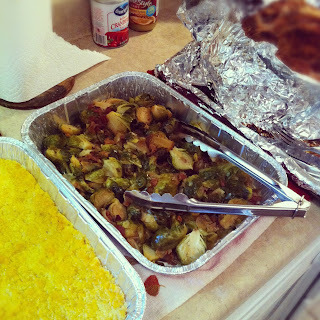 This is one of my favorite dishes...my sister-in-laws' Brussel Sprouts. She sautee's them in a tiny bit of butter, brown sugar, onion and bacon. OMG. Delicious. I could literally eat the whole pan! 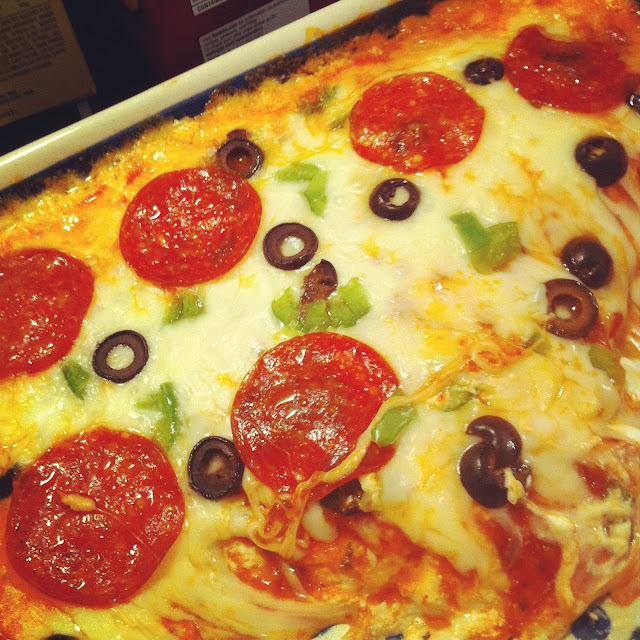 The Pizza Dip was the hit of the weekend! 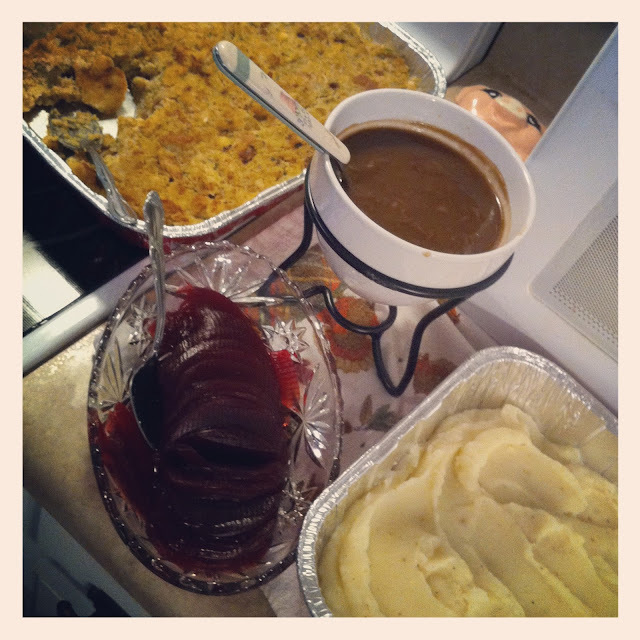 My kiddos and family LOVED it! Get the recipe here. 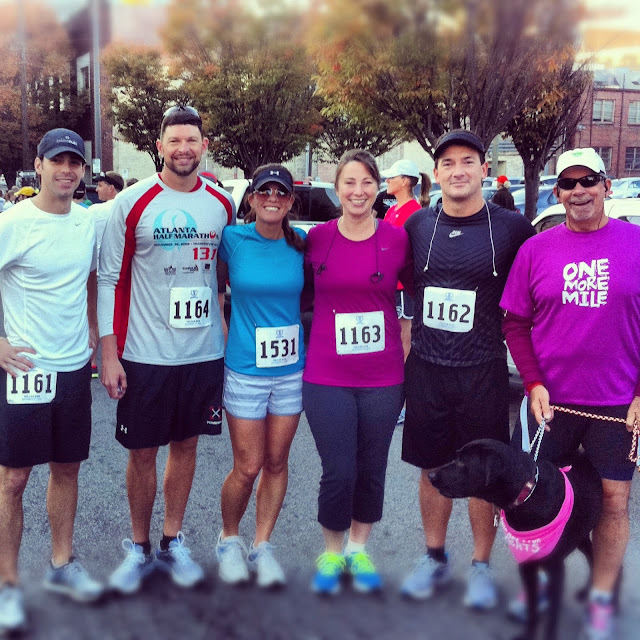 As much as I love running "destination runs" I love love love a good ole hometown run! Vulcan Run 10k in downtown Birmingham Alabama is one of our greatest runs! 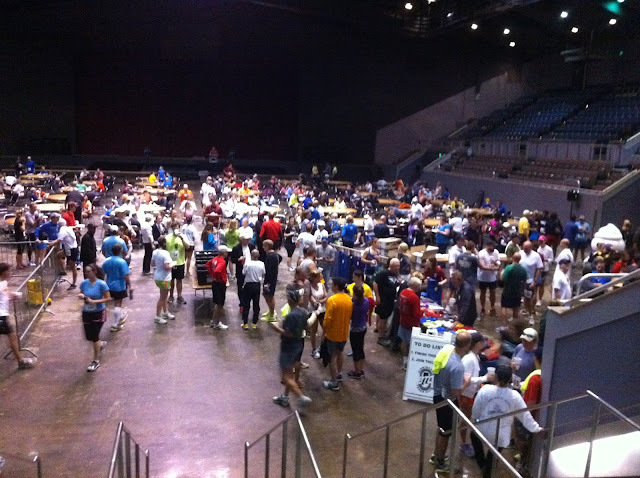 Its like a Family Reunion for Birmingham runners. All of my peeps show up and we have a great time catching up with each other! The weather is usually fabulous and the course is exceptional!! 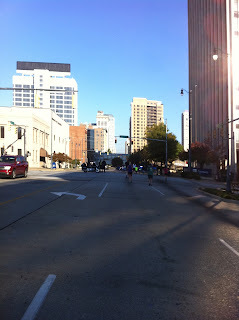 I am a huge fan of running the city streets. Love the atmosphere, the city, the fans...everything! And hey, it's the BEST way to work in my training runs for the runDisney Walt Disney World Marathon in January of 2013! 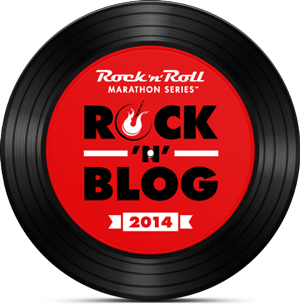 Bib #1531...Ready to run! 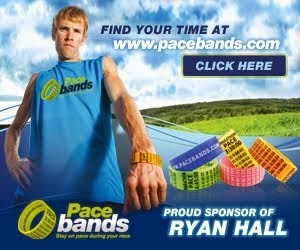 Official Finish Time was 59:52. Not too shabby after hurting my knee the weekend before in the Florence Half! Some of the scenery seen on my way back to the Finish line! Vulcan is an appropriate title for this Birmingham-based race. From Roman mythology, Vulcan was the god of fire and craftsmanship. Because Birmingham is located on land comprised of the materials needed to make iron and steel, the local steel industry experienced rapid growth during the industrial revolution. Thus, Vulcan became a symbol of the city. By the late 1980s, the Vulcan Run had grown to include upwards of five-thousand participants. It attracted top runners, including Marcos Brotto, who set a race record of 28:18. In 1990, Christine Pfitzinger set the women’s record of 32:33. Following this record, Pfitzinger won the race four consecutive times before she was invited to compete in the NYC marathon for the Olympic Trials. 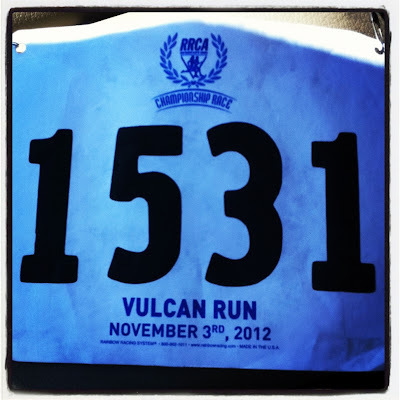 The race became so popular that a Vulcan Marathon was established. In time, the Vulcan Marathon was incorporated into Birmingham’s Mercedes Marathon, which is held each February. The original Vulcan Run, however, remains unchanged in terms of distance, course, and name. To date, the Vulcan Run remains an extremely popular race and in 2012 The Vulcan Run is the ALABAMA RRCA 10K STATE CHAMPIONSHIP. Each year the race generates approximately $2 million in revenue for the city. Through the years, the race has been made possible by sponsors including SONAT (Southern Natural Gas), The Birmingham News, Subway, Viva Health, Buffalo Rock, Pepsi, and the Bryant Jordan Foundation. 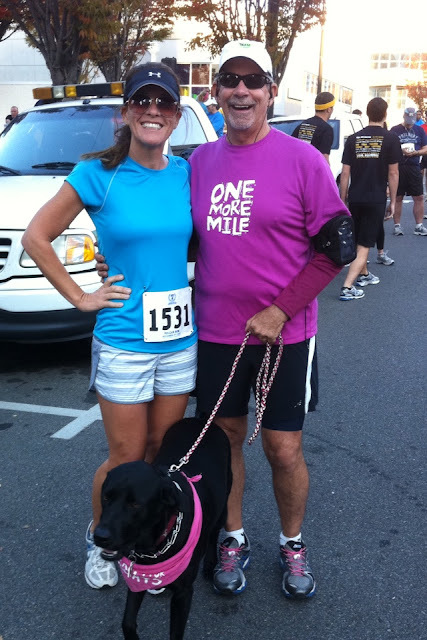 My pals Walker Wonder Dog and Ronnie (who always wear the MOST clever shirts fromOne More Mile Running...check them out!)! Does this look like a FABULOUS AFTER PARTY or what???? Free Yogurt Mountain with all of the fixins, grilled hotdogs and Free Beer! Big Shout out to the The Trak Shak for always putting on the best post race parties. 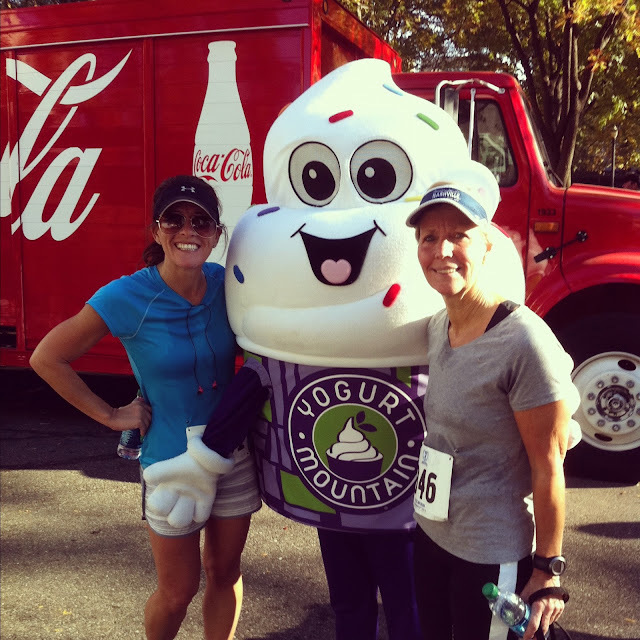 Vulcan 10k sponsored by Yogurt Mountain and Coca-Cola! 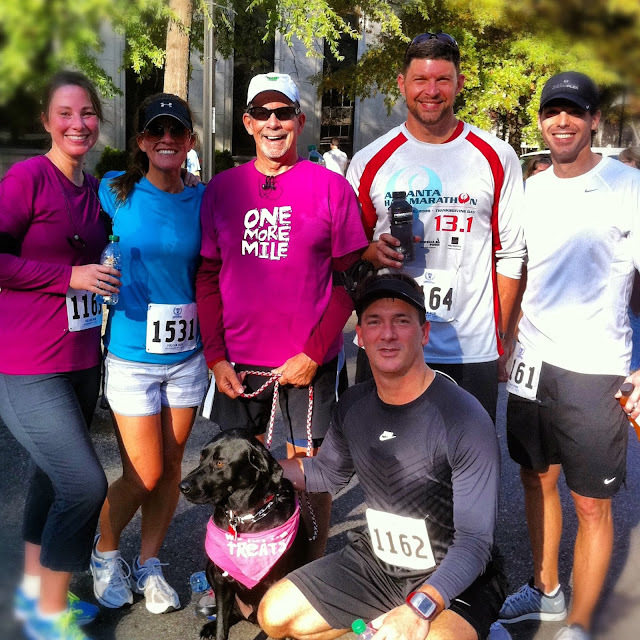 Before the race with my peeps...Ronnie, The Scott and Scott Running Club, the Sweet Heather and Walker WonderDog Blakeney. It was a BEAUTIFUL Fall day in the Ham, but man were we hot and sweaty in the end!! Fun Day with the Peeps! The Weekend of the BIG Head! 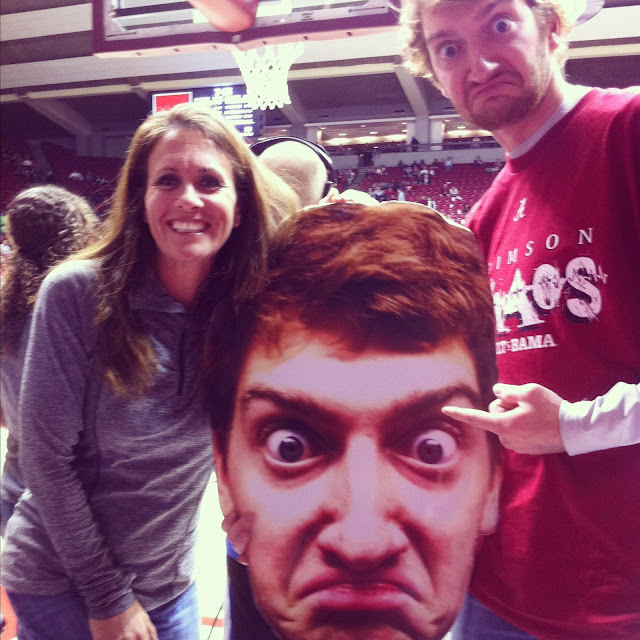 How excited was I to go to the Season Opener of the Alabama Basketball game and spot this guy?? It was like seeing a MAJOR Celeb!! He is quickly becoming the "Face" of Bama Basketball!! Well that was Friday night. Let's move on to Saturday. Time for the Alabama vs. Texas A&M game. Huge game? Yes. Big Game? Yes. So OMG. 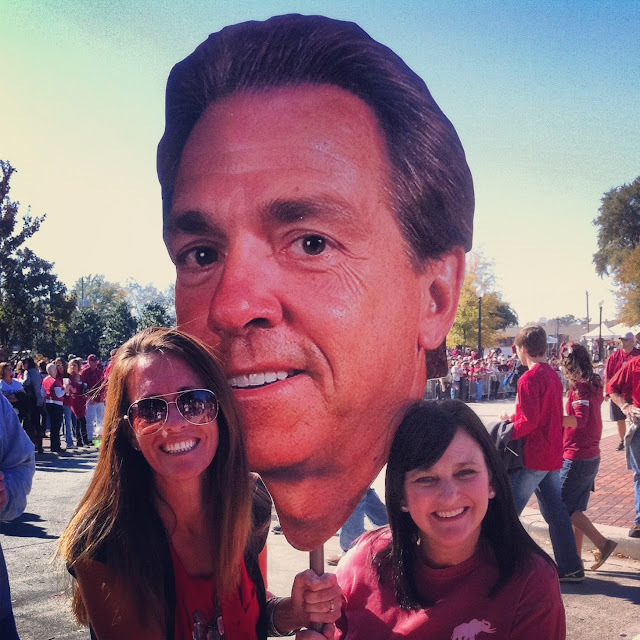 How excited was I to be standing outside of Bryant-Denney Stadium and see a LARGER than life Nick Saban Head coming right towards me???? OMG. The weekend of spotting the BIG HEADS...Yeah!!!! I love this Pic of me and my friend Meredith actually holding our pal Big Saban Head. I mean, would he just die if he ever saw this?? I would think he'd actually be happy and probably laugh. lol.